This post may contain affiliate links and we will earn a small commision if you make a purchase through these links. 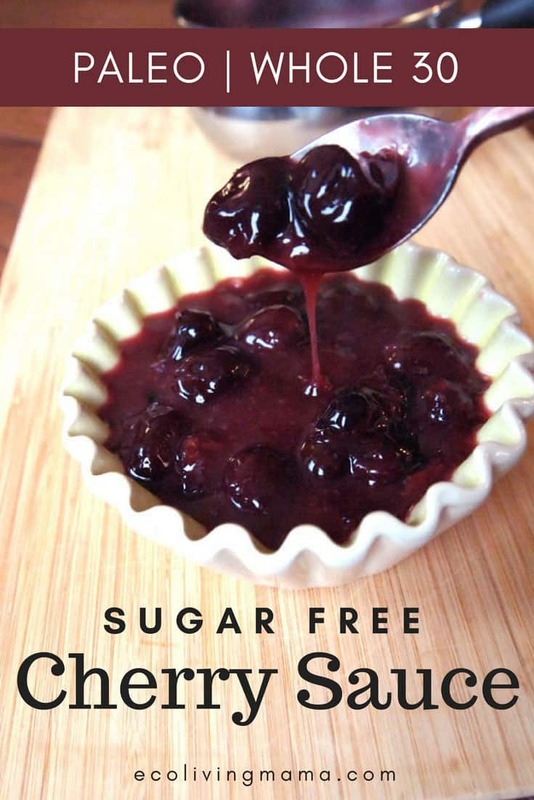 Sugar-free cherry sauce without cornstarch is SO easy to make and crazy tasty. My favorite cherry sauce recipe makes an amazing cherry dipping sauce, is perfect as a pancake or waffle topper (my FAV) or eaten by the spoonful (my 2 year old’s preference). I originally made this cherry sauce recipe to go on top of my coconut flour waffles, and now my children request it whenever I make the waffles. I oblige because I love it just as much as them, and this easy cherry sauce is completely sugar free. I make this cherry sauce without cornstarch because I prefer to use arrowroot instead. That makes this cherry sauce Paleo, sugar-free, gluten-free, grain-free and sugar free (but still full of flavor!). When I say this cherry sauce is sugar free, I don’t mean it has stevia or xylitol, or any other sugar substitute added. I mean is that there is absolutely no sugar or sugar substitute in this recipe. Most fruit and cherry sauce recipes have some type of sugar in them, but I have never understood why since fruit is nature’s candy! I find cherries to be plenty sweet on their own, so you won’t find ANY sweeteners in this recipe. 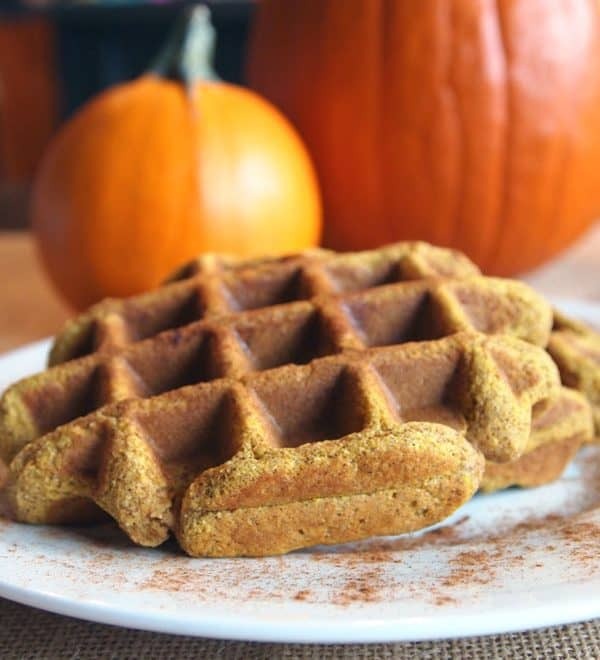 We use this sauce as a topping for our coconut flour waffles instead of syrup for a completely sugar free breakfast that tastes like a treat. WIN! The thing that makes this cherry sauce recipe so simple is that it uses frozen cherries instead of fresh. Yes, fresh cherries would probably be even MORE delicious, but who has time to pit a bowl full of cherries when you are trying to get breakfast served to a gang (3 counts as a gang, right?) of hungry kids? Not me! Plus, cherries are only in season for a few short months, but my family likes to enjoy this cherry dipping sauce all year. I buy the giant bag of organic frozen cherries from Costco and they are amazing in this recipe. They are the dark, sweet variety – you want to make sure you use sweet cherries, not tart in this recipe. (These frozen cherries are also amazing in smoothies, chopped and added to oatmeal, by themselves eaten straight from the freezer…..I could go on for days. We are super in love with frozen cherries around here). You could also make this easy fruit sauce with blueberries, raspberries, blackberries or a combination of any of those. I’ve used the exact same fruit sauce recipe with blueberries and it turned out wonderful. My family prefers the cherry sauce, so that is what I typically stick with. 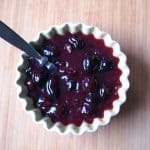 I use Arrowroot as a thickening agent in my cherry sauce, and it works wonderfully! Arrowroot is a great paleo sauce thickener, and works for all kinds of gravies and sauces. Arrowroot poweder is, in my opinion, far under-utilized in most kitchens! It has been getting lots of love from me lately as a thickener for sauces and in all of my grain-free baked recipes to enhance the texture of baked goods. I avoid many corn products because I am not interested in feeding my family GMO’s, so arrowroot is a wonderful alternative to cornstarch. Cherry sauce is so easy to make! 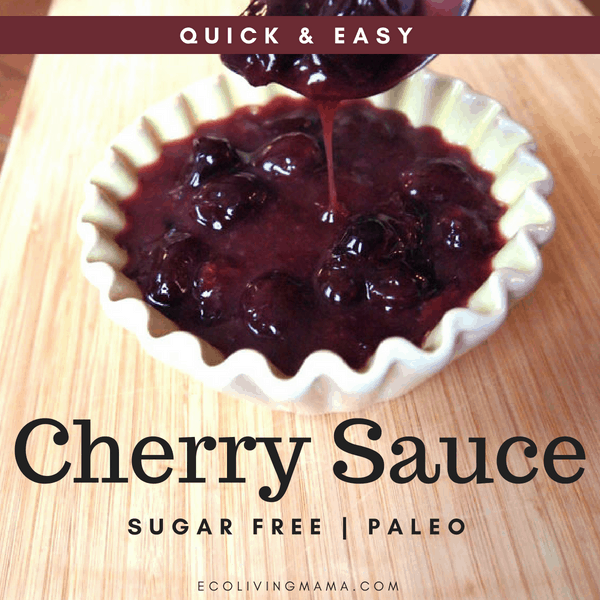 It is a simple reduction of cherries with a little liquid and a paleo friendly sauce thickener that comes together in just a few minutes. You will love this sugar-free version with no cornstarch – it tastes like a treat! 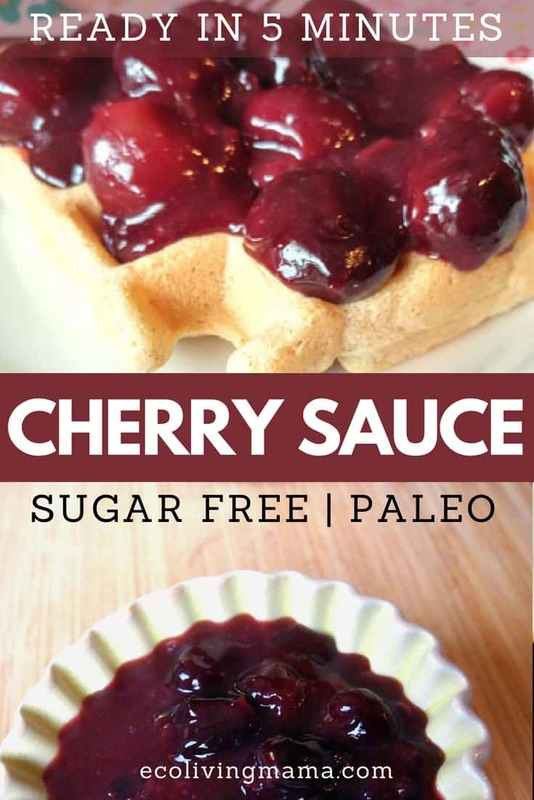 This quick and easy sugar free cherry sauce uses only a few ingredients, comes together in minutes and is delicious on top of waffles, pancakes, ice cream or desserts. Stir sauce until thickened. This should happen very quickly if the cherries are boiling. makes about 1 and 1/3 cups finished cherry sauce. This is enough for 4-5 waffles for us. 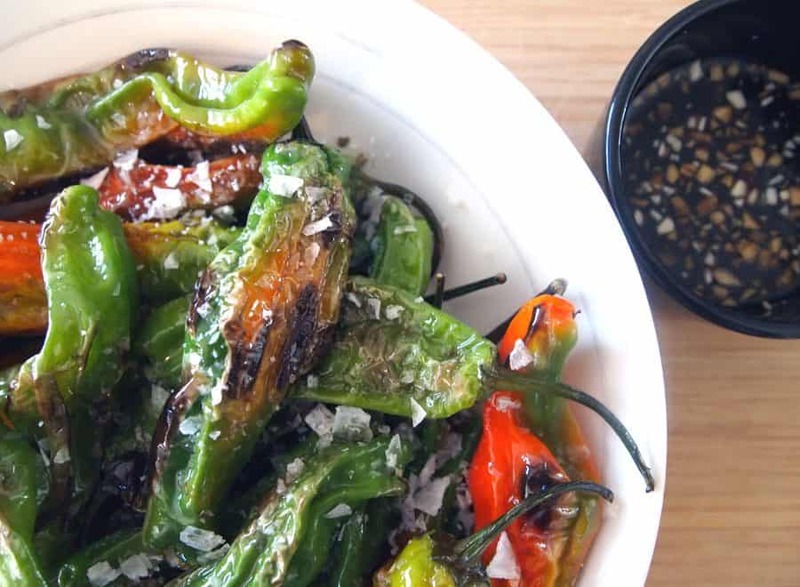 Looking for a healthy recipe you can top with this cherry sauce? 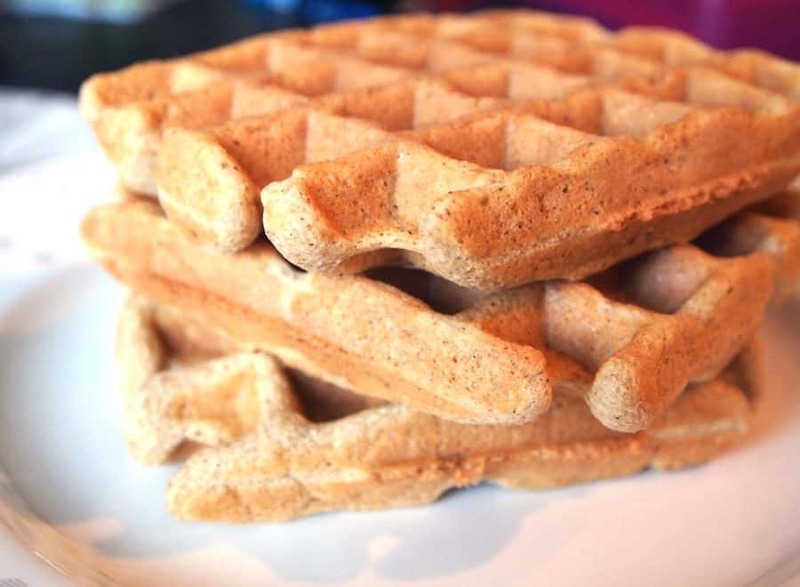 Try my coconut flour waffles – its the perfect combination. Eco Living Mama is a participant in the Amazon Services LLC Associates Program, an affiliate advertising program designed to provide a means for sites to earn advertising fees by advertising and linking to Amazon.com.